Curious to know why 75% of our customers are returning? Elias Bros. Contractors has been the industry low price leader and has set the standard in quality for over 50 years. Being a small family business provides us the ability to provide individualized service and experience to each and every project. We know that a business is only as good as the customer it keeps; and we are proud to boast several life-long customers. If you’re seeking professional, exceptional, and quality asphalt paving or concrete construction look no further than the family at Elias Bros. Contractors, Inc. But don’t just take our word for it, “I have had the pleasure to work with Elias Bros. on two recent parking lot projects. Both projects were completed on time and on budget with quality results. I would recommend EBC to anyone needing a professional contractor seeking quality results.” -David Turner, Project: DeVry University, Pomona CA. Plan ahead: schedule Church maintenance today! 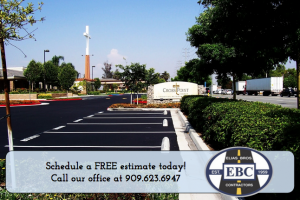 Churches expect high volume attendance during the holidays, make sure your parking lots are appropriately repaired and compliant to the most recent ADA regulations. 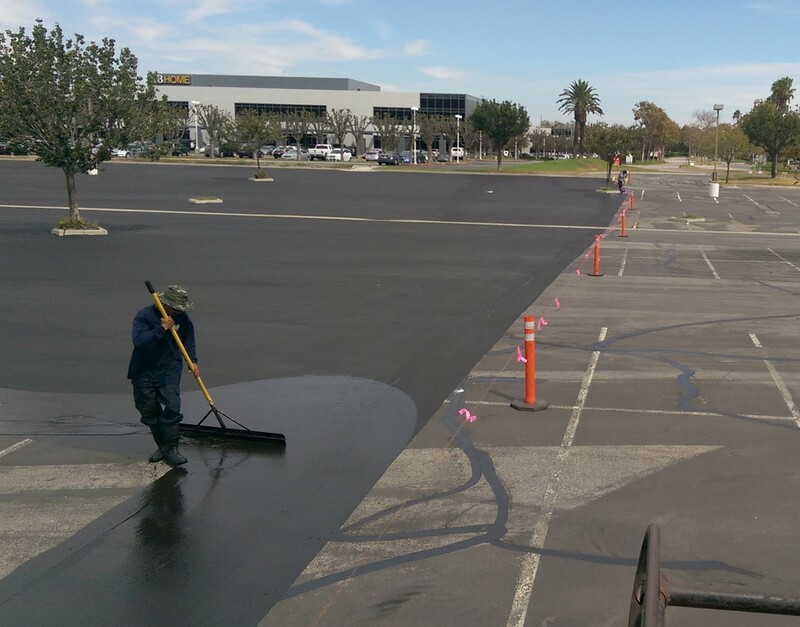 With El Niño expected this winter, proper asphalt maintenance has never been more important! Call us today for a FREE estimate to get your facilities looking like new! 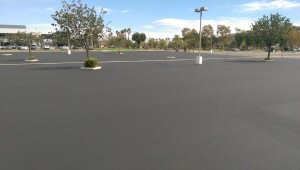 Now is the time for Asphalt Maintenance! 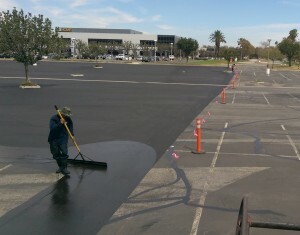 Rain causes asphalt erosion and deterioration…but asphalt repairs and sealcoat can prevent it!! 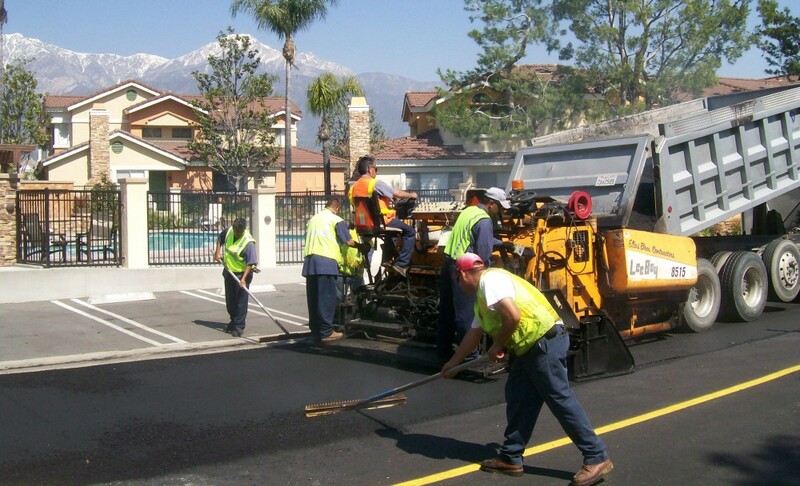 With El Nino expected this winter, and after rain like today, NOW is the time to plan asphalt maintenance to prevent costly repairs later. We have just begun a new e-mail newsletter campaign that runs quarterly! 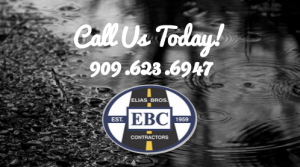 The letter is filled with helpful information about asphalt and concrete maintenance and reminders, current updates from the company, and other general well wishes from Elias Bros. Contractors, your family friendly paving contractors since 1959! Click here to sign up! 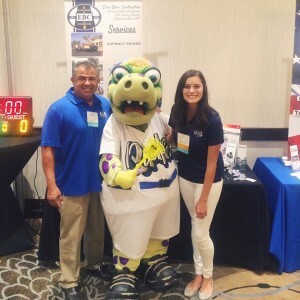 Earlier this month the newest addition to our marketing team, Nicole Elias, and her father, Jerry Elias, exhibited on behalf of Elias Bros. Contractor’s at CAI’s mini luncheon and tradeshow in Ontario! It was a great opportunity to meet managers and homeowners alike while sharing our passion for providing quality service and expertise in the paving industry!